LesPierresdejulie.com offers for sale a range of jewelery combining fine or precious stones and diamonds, a clever mix of colors, to give an original and unique note. High-end jewelry for a fun and impulse purchase at reasonable prices. 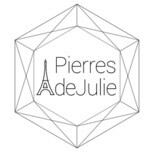 All goods sold by lespierresdejulie.com are pieces whose authenticity and quality are fully guaranteed. A certificate of authenticity, valid for 30 years, is provided with jewels or stone. The products sold on the website despierresdejulie.com comply with the standards and legislation in force in France. It is the responsibility of the buyer to verify under his sole responsibility that these products can be imported and used in the country of destination. In case of dispute, only the legislation and the French language will be applicable. The prices of the products are indicated in € euros all taxes included except participation of the expenses of transport. The customer can place his order directly via the website but also by phone and by mail. At the time of its order, the customer declares to have read these general conditions of sale and to have accepted the terms. The customer is informed that the products presented on the website and at the time of the order may no longer be available or for sale and that prices may be subject to an update. The order becomes effective only when the customer is clearly identified by communicating all the information requested and completing the form available on the site; Each jewelry is identified by a reference that must be explicitly mentioned when ordering. The customer declares having the legal capacity to place an order on the site. After registration of the order, the customer receives a confirmation either by e-mail or by mail. This confirmation letter gives you the description and references of the product, validates its availability and its essential characteristics, the exact amount invoiced and the delivery terms as chosen by the customer. The order validated by the customer will only be considered effective after the bank payment center chosen by the customer has given its agreement. The contractual terms of carriage are to be negotiated directly with the carrier or may be subcontracted by Les Pierres de Julie, if the customer has made the express request. or by the partner-carrier of the shop Les Pierres de Julie (according to current rates) For any delivery problem (damaged parcel, missing item, etc …. ), the customer must notify it by letter to the carrier and the Pierres de Julie , within 3 days of receipt of the product. In accordance with the law of January 6, 1988, the customer has a right of withdrawal for 7 days from delivery to the address specified by the customer. The customer returns the jewelry, in its original state; any object returned by the damaged customer, incomplete can not be resumed. The return costs are the responsibility of the customer. After receiving the returned jewelery, the Les Pierres de Julie shop will reimburse the customer for the sums paid, less any shipping costs charged to the customer, within a maximum of 30 days. In accordance with the Data Protection Act of 6 January 1978, you have the right to access and rectify data concerning you. +33 1 43 06 36 30.